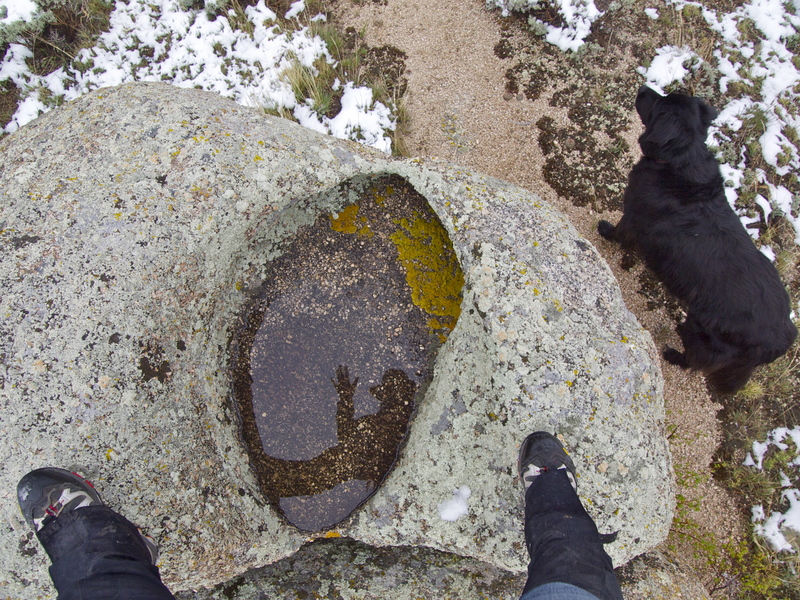 Awesome Reader Tip of the Day: Vedauwoo Rocks, WY! So I did and it was spectacular! 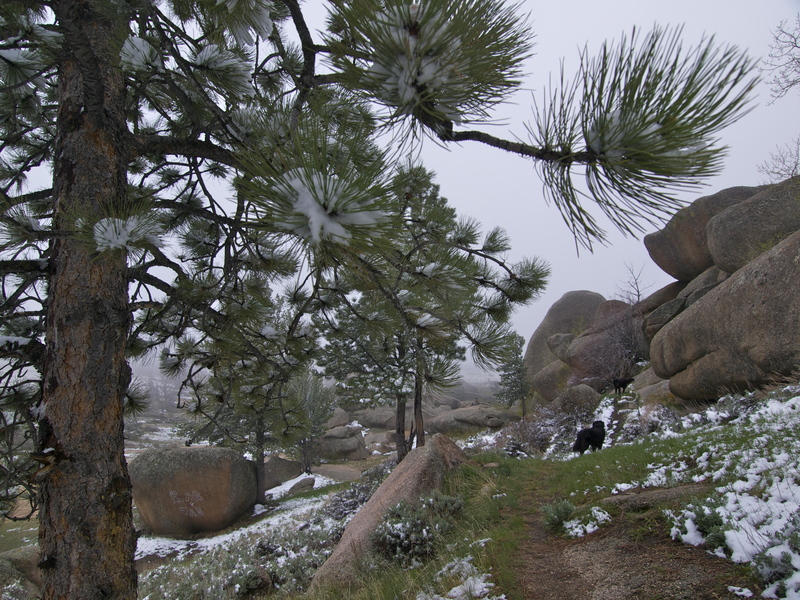 Huge pink granite boulders shrouded in snow and mist. I camped at a beautiful free National Forest campsite and when I woke up the next morning, the sun was out and the snow was soon gone. 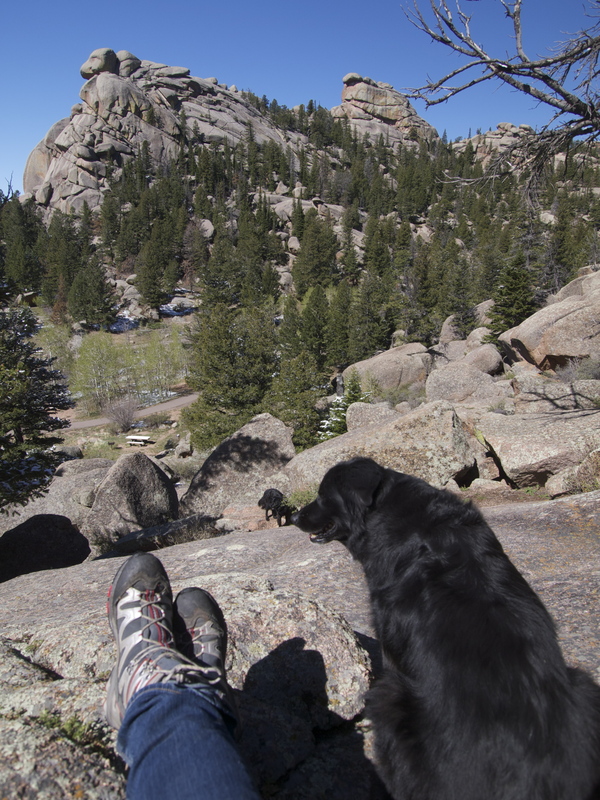 The dogs and I spent the morning climbing boulders and circumnavigating Turtle Rock, off trail, using the Colorado Rockies to the south as my “handrail” to guide me through the wilderness and back to my car. 16 Responses to Awesome Reader Tip of the Day: Vedauwoo Rocks, WY! Hi, I’m a new reader to your blog (came over from the Tiny House Blog) and have enjoyed going through your archives to find beautifully written treasures that take me away to places I’ve never been (but someday hope to go). However, I do have some questions about the linguistics of how you travel. 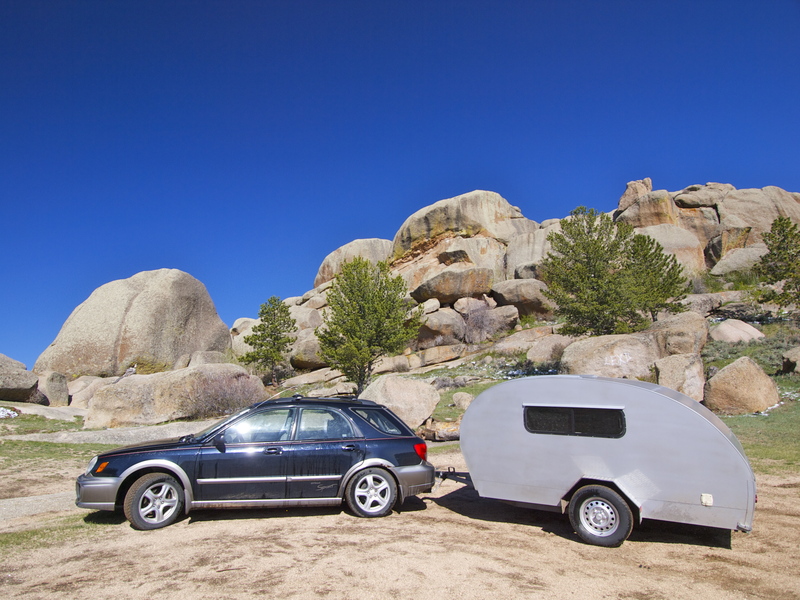 1) How do you find free campsites? Is there an online/offline resource or do you just kind of stumble upon them? 2) This one isn’t a question, just a request. I’d really be interested in reading more details about how you plan your trips. For example, do you plan your camping/lodging in advance or in your experience can you always just seem to find a local campground or NP to stay at? What about food, what are some of your go-to meals and snacks while on the road? Do you plan the hikes you want to do or wing it? What else goes into planning your trips? Again, just a request. 3) Obviously you travel light, what are your staple clothing options? Specifically, do you have any low-cost tips for dressing for changes in climate as you travel. Again, I’m really enjoying your blog and can’t wait to see where you’ll be going next. I had a feeling you’d like Vedauwoo! I’m so happy you made it there. Awesome shots. Love your hiking buddy. Since you are taking requests — I’ve been long curious about Wyoming’s rock art. I’ve read there is some, but I don’t know much else. Are you near any? Thanks.